Alaskan Oyster Farmer MikeNakada sells delicious oysters off his dock in Jakalof Bay and through Kachemak Shellfish Growers’ Co-op. 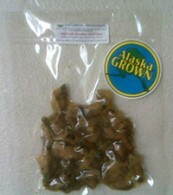 The Co-op sells and ships fresh raw oysters and delicious smoked oysters online. The Co-op is generously offering readers of my website the opportunity to win 2 dozen fresh raw Kachemak Bay Oysters and 2 dozen smoked Alaskan oysters (shipping included). 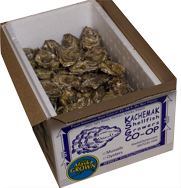 The giveaway oysters are provided and shipped by the Kachemak Shellfish Growers’ Co-op. Only people with US addresses, excluding Hawaii which requires an import permit for oysters, are eligible to win. 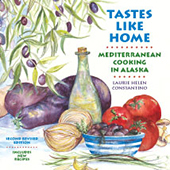 Many thanks to the Kachemak Shellfish Growers’ Co-op for making this giveaway possible. I’ve liked the Co-op on Facebook, you should too! NOTE: Kachemak Shellfish Growers’ C0-op offered the giveaway after we’d already bought and consumed the oysters (and after I’d written this article). Other than a prize for my readers, I received nothing from KSGC or Mike Nakada. The winner has been selected, and this Giveaway is now closed. 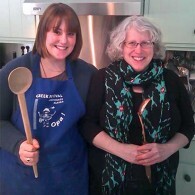 Congratulations to Kathy Block. The list of past Giveaway winners is available here.